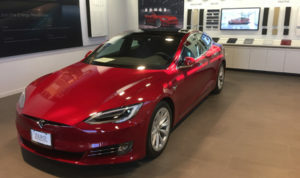 The one day you are behind your desk in The Netherlands, engrossed in your MBA trajectory, and the other day you are on a plane en route to Silicon Valley to visit Tesla’s Research and Development centre for one of your study assignments. 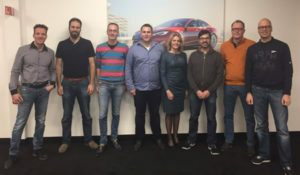 This happened to Business School Netherlands (BSN) students Erik ten Hove, Peter Eland, Robin van Verseveld, Corjan van der Veen, Davy Emans, and Lineke Pelleboer in January this year. 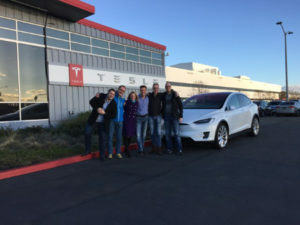 Their mandatory group assignment had to be extraordinary and out of this world; that was a fact, with the ultimate jackpot doing research at Tesla’s electric truck division in the United States. This, however, proved to be easier said than done, but not impossible. The assignment revolved around researching the differences between the European and North American truck market, focusing specifically on electric trucks. 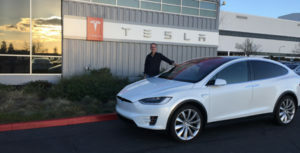 “Tesla has been wanting to develop an electric truck for a while when we contacted them, one for both the American and the European market,” says Peter. Seeing and admiring Tesla’s first electric semi-truck, which was officially launched in November this year, was a true highlight, says Erik. “The first reports about this truck started to trickle in somewhere around September. We, however, can say that we have seen then truck in January already,” he says.